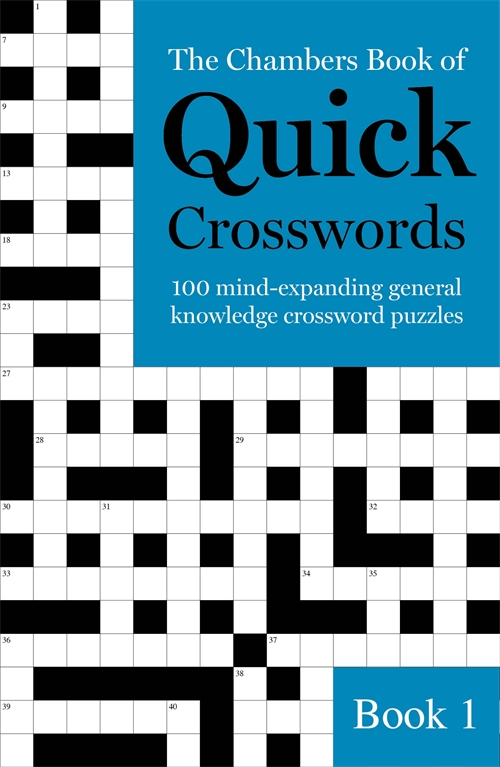 Give your brain a workout with 100 quick general knowledge puzzles from the most crossword-friendly dictionary in the world. Put your feet up and escape from it all with The Chambers Book of Quick Crosswords featuring 100 puzzles to test your general knowledge. The puzzles occupy the “challenging”, mid-range territory, striking a balance between the accessible and the unattainable. Each includes a handful of clues from both ends of the spectrum: relatively easy ones, allowing solvers a way in, and toughies, that stretch the cerebral powers much more. You will find a mix of music, flora and fauna, TV, cinema, geography, literature, the Classics and sport; orthodox general knowledge to help you extract maximum enjoyment and satisfaction from every 15 x 15 word square. Entertaining, fun and challenging enough to tax even the most seasoned crossword aficionado, you’ll need quick wits to go head-to-head with Chambers.